We have completed phase 1 of our bathroom renovation. 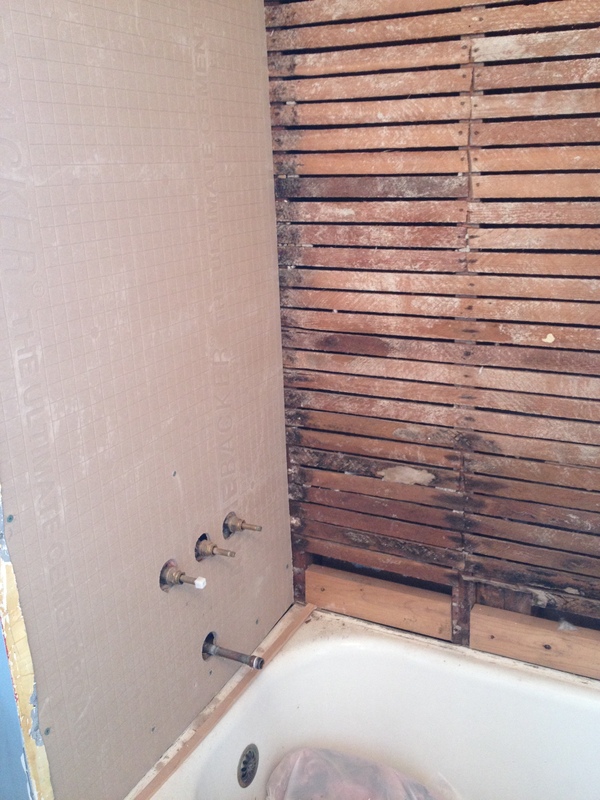 Actually, I don’t know if I can call it a renovation…maybe more of a facelift. 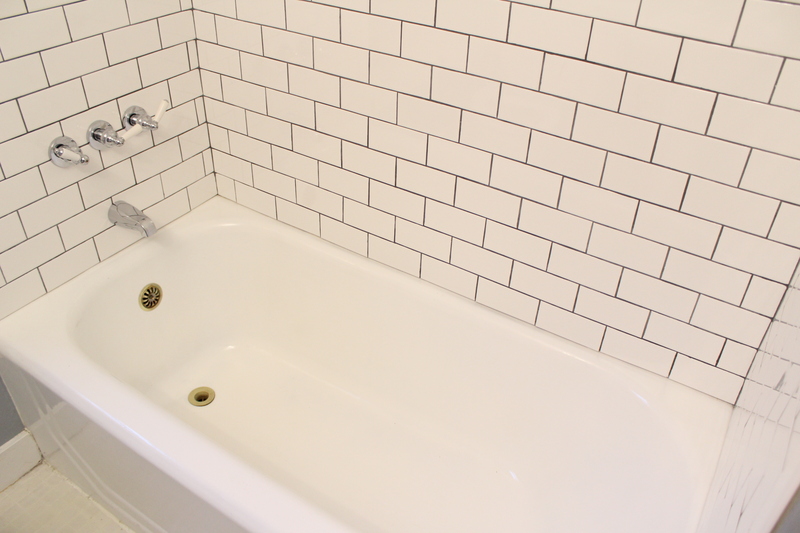 The tiling and tub restoration is complete! I don’t know why we didn’t do this sooner! 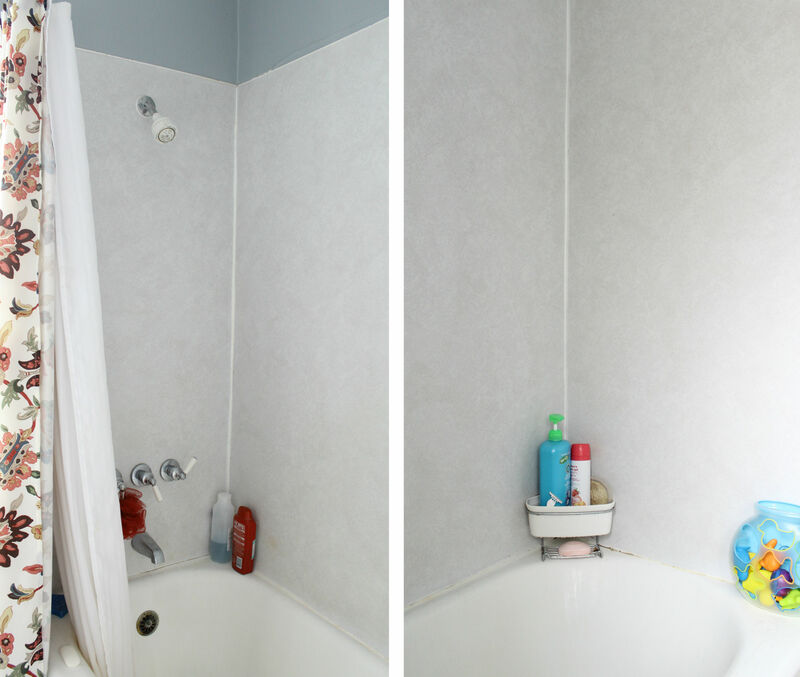 Now though, I am annoyed that I have to cover it up with a shower curtain. 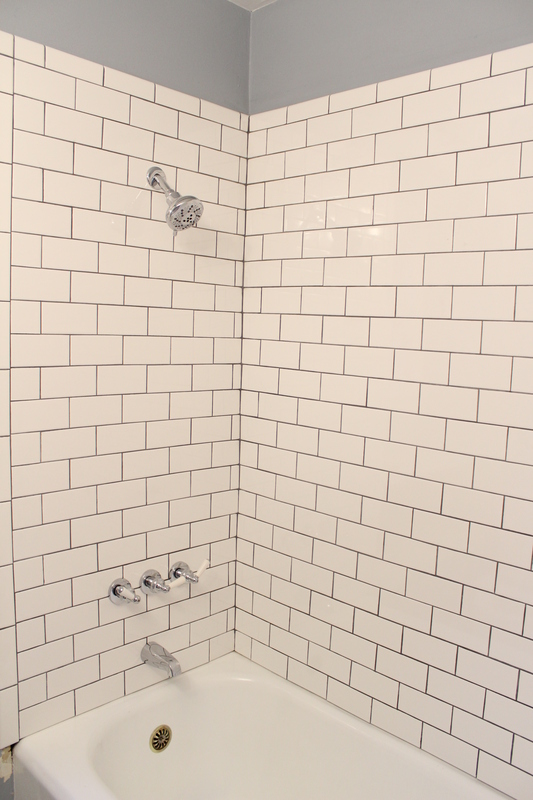 I just want to stare at it, and run my hands over the smooth glossy tiles…I’m a bit obsessed! 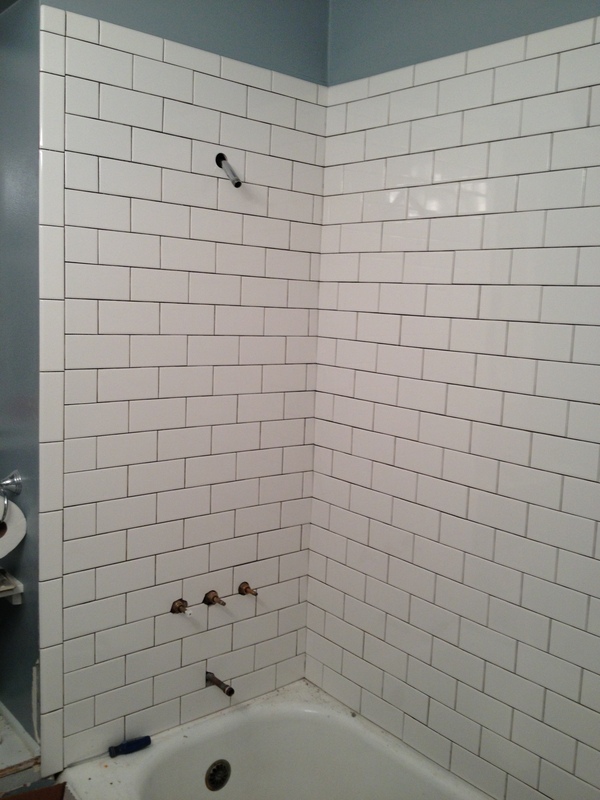 I returned about $70 worth of unused supplies, but kept all the extra subway tile…I have the kitchen on my mind! 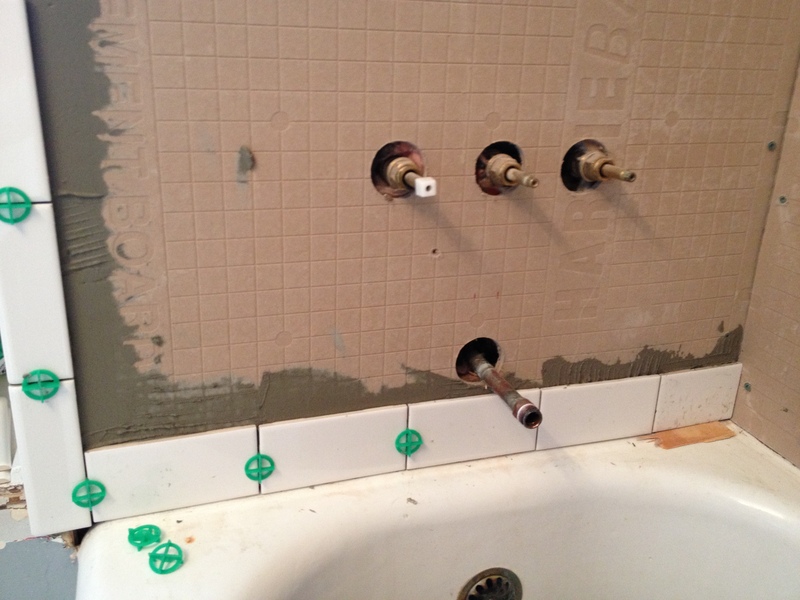 I figure if I hold on to the tiles, it will be easier to start on a whim! That’s how a lot of my projects start! 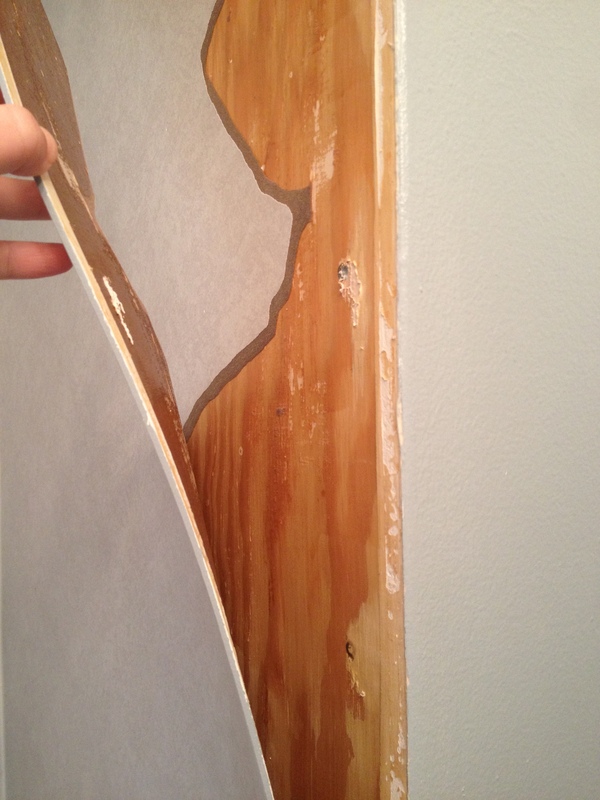 As I mentioned in my last post, I was expecting to find crumbled plaster under the laminate, so I was pleasantly surprised to find plywood and in perfect 3×5′ sheets, perfect for cement board! Demo started Saturday morning. Jesse took care of most of it while I was at work. The plywood came down so that cement board could go up. We left the lathe in place. I didn’t see any reason for it to come down. The tub butted up against it anyway, so taking it down would have opened up a can of worms. 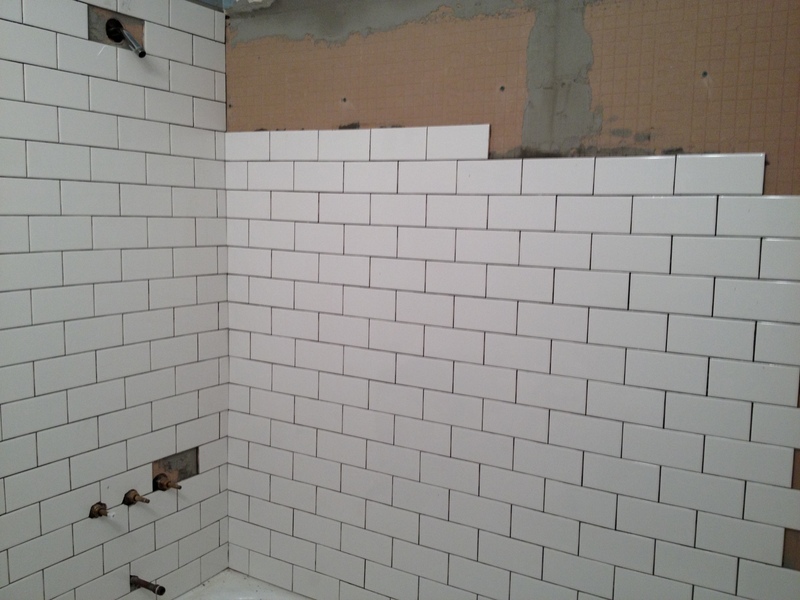 Tiling began around noon on Sunday. 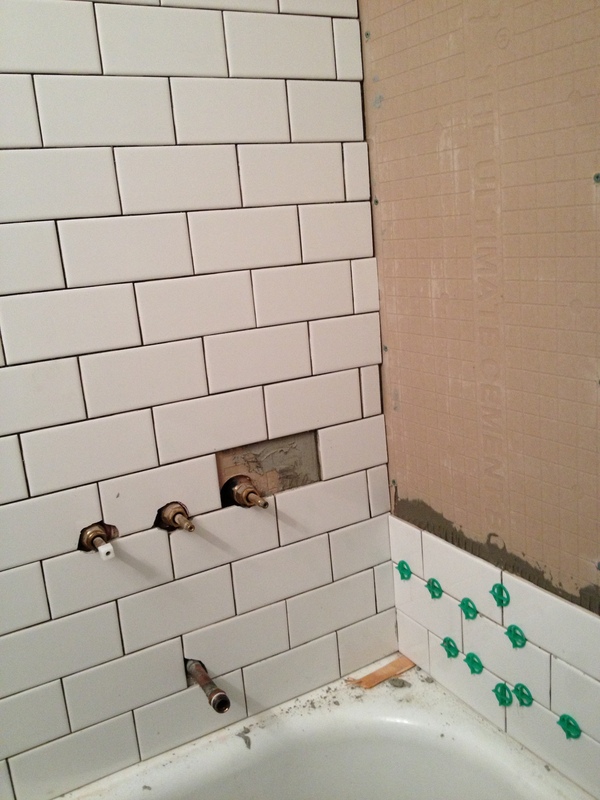 Getting the first few tiles on was probably the most challenging, mainly because I was nervous. But we just kept plugging away, and got into a rhythm. And on Monday, Lucy took a 2 1/2 nap and allowed me to finish the full wall and more than half of the wall opposite the shower head. Good baby! And as soon as Jesse came home from work, I handed Lucy off and finished it up! 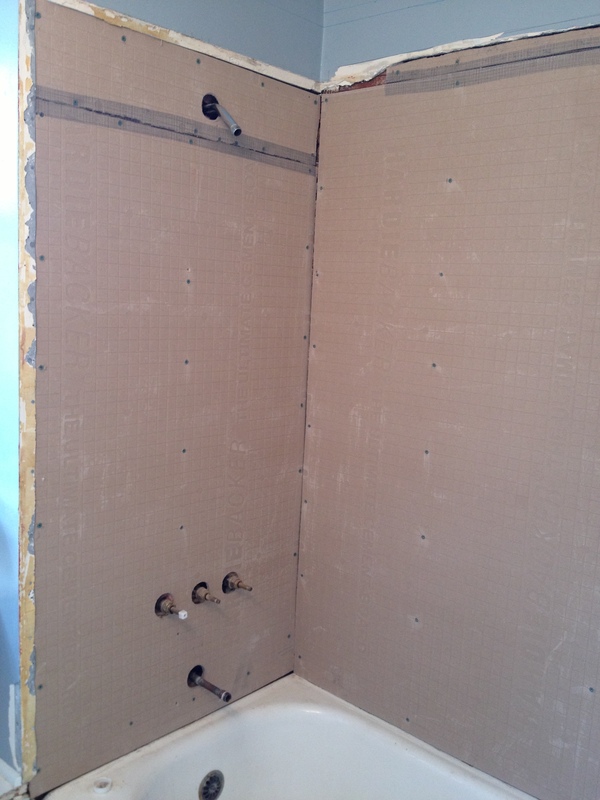 Including cutting the tricky holes for the shower arm and spickets. 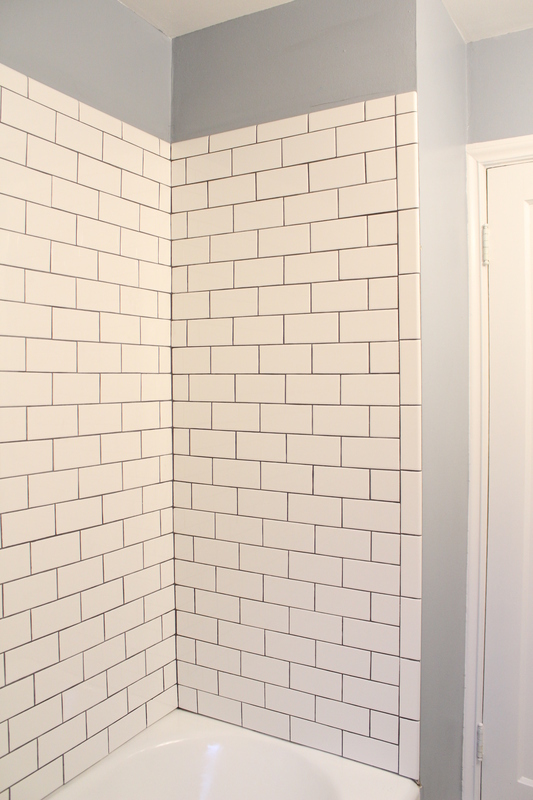 Monday evening, when my tired body crawled into bed, the tiling was complete! But not finished. 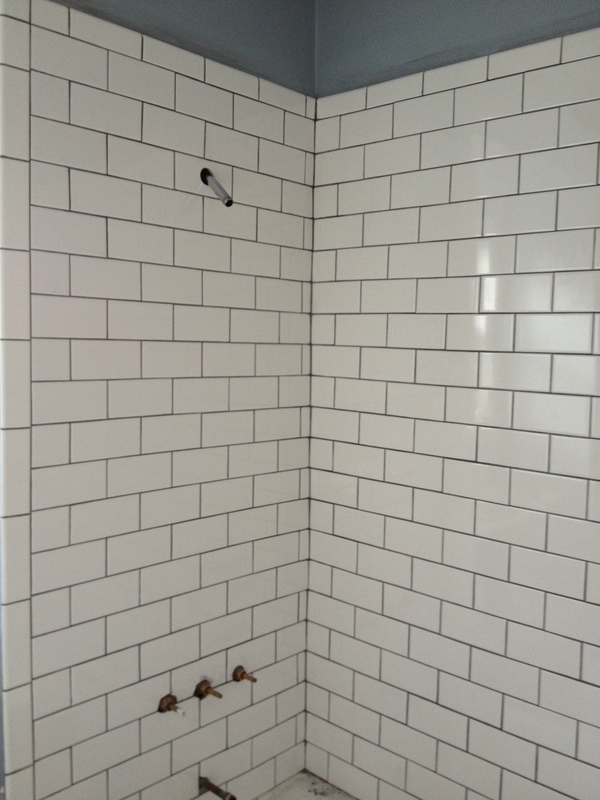 Tuesday was grout day. It was at this point that I thought to myself, “OMG! What have I done? !” It was so messy. I don’t know why I didn’t think of that. Whenever I have seen them do it on TV or in books, they never talk about how messy it is. They just trowel it on, and wipe it off. This was not that way. 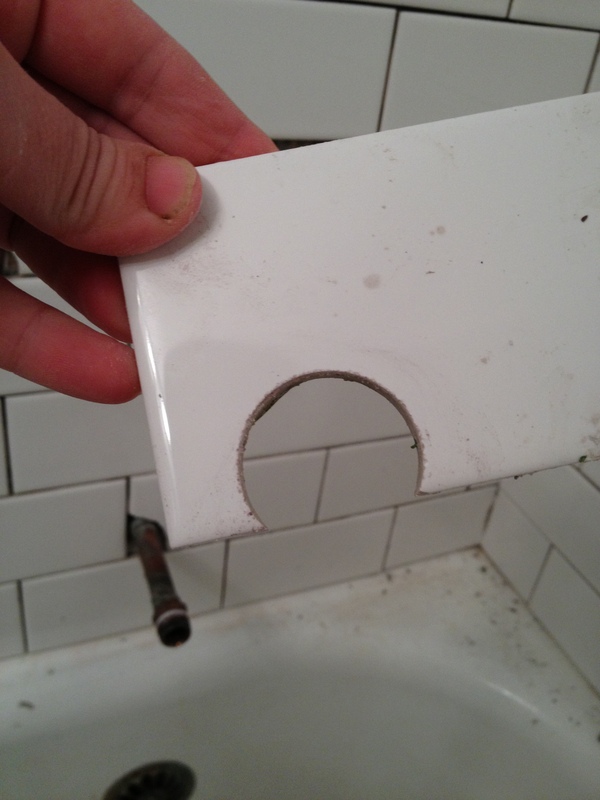 The grout was super thick and it felt like a time bomb…knowing that I had to get through all of it before it hardened. You put it on, and then about 15 minutes later start wiping it off, but I had 3 walls to do and it was taking longer to get to a good stopping point. Unfortunately I waited a little too long and it required some serious elbow grease to scrub it off the tiles. I did kind of like the look of this…kind of graffiti-esque! 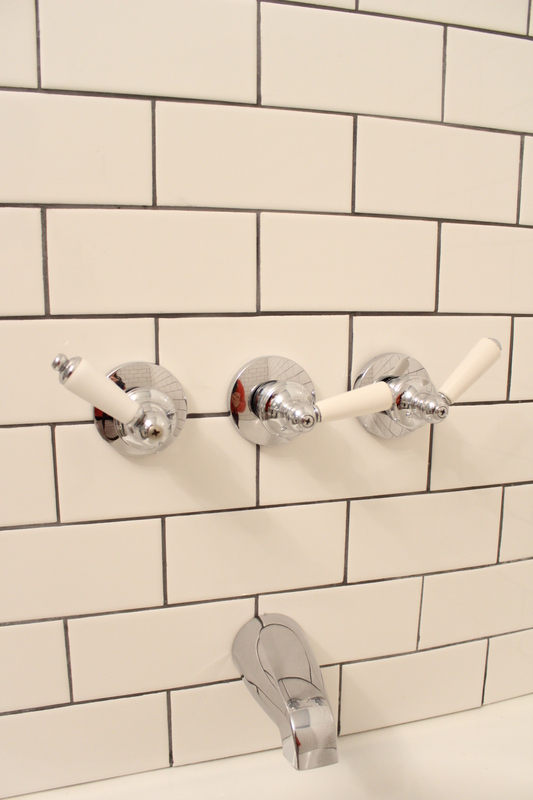 The other issue was that we had no handles on the spickets to run water in the tub…though I now realize that we could have just used a wrench, but the grout was a total pain to clean. Anyway, here it is with the cleaned up grout. 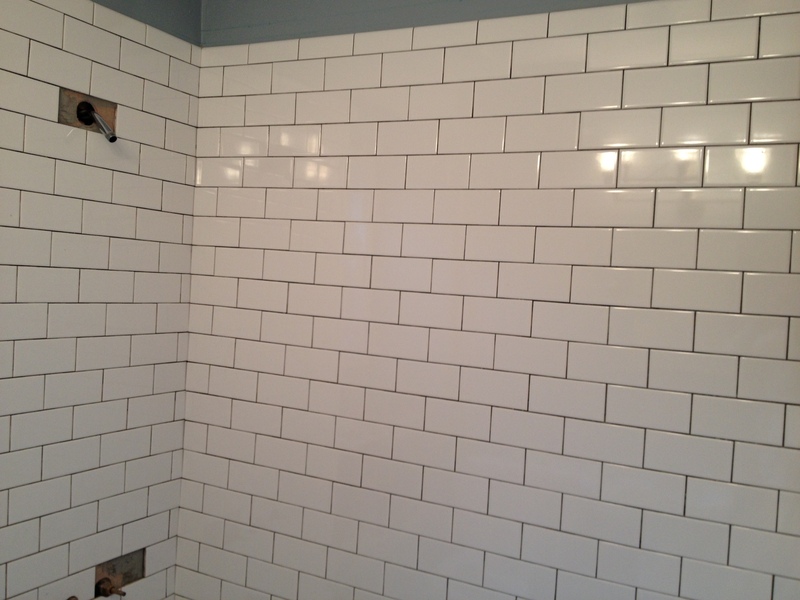 But doing all the grout took about 1 1/2 hours with about an hour for clean up. The old dingy stained tub. 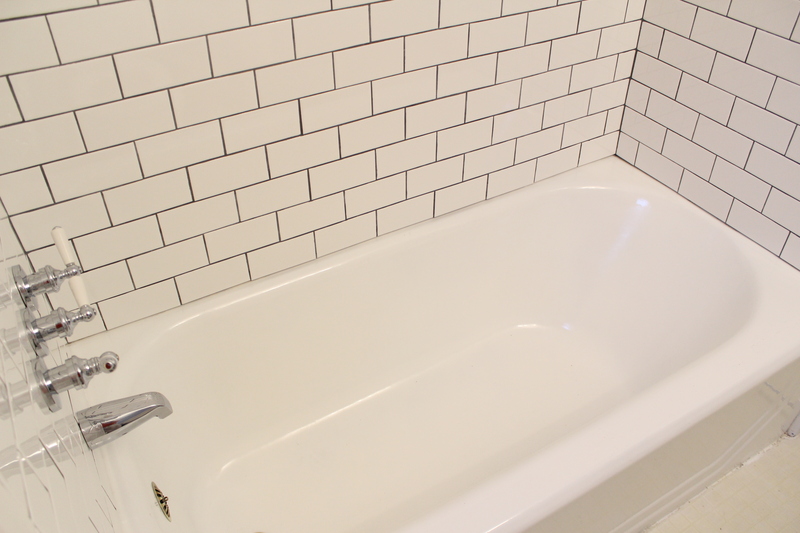 It’s a great heavy original tub that I definitely wanted to keep…but it too needed a facelift. 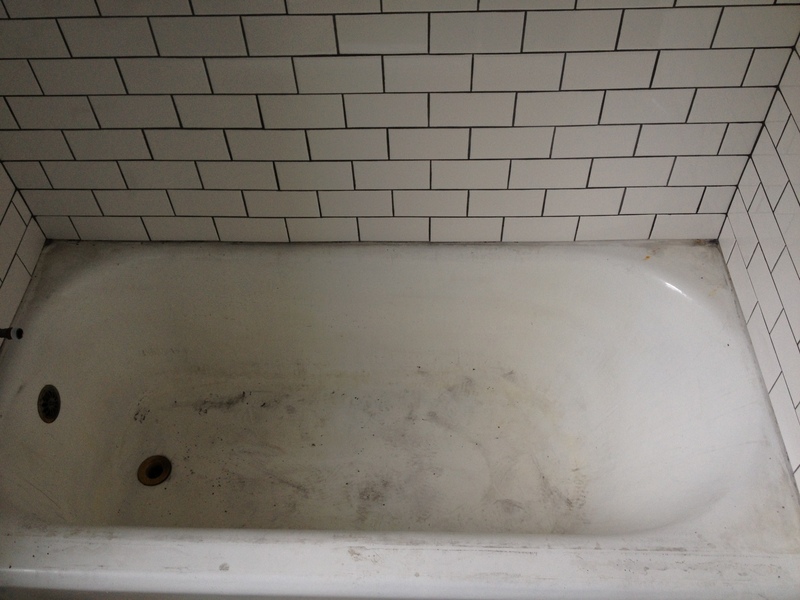 I called the Seattle Bathtub Guy and they came out, and were able to restore it. They did that Thursday morning, and were finished by noon. They were great! But wait! Not finished! 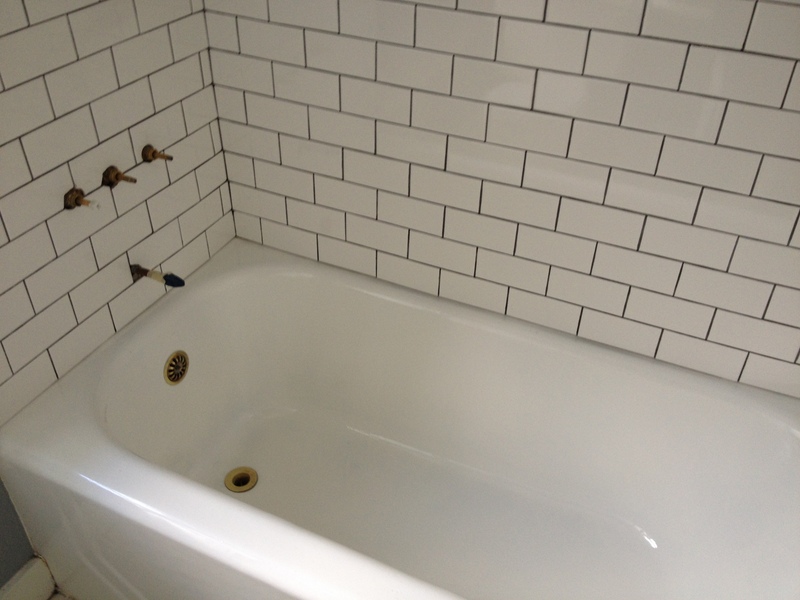 We still had to caulk, and unfortunately after the tub restoration, there is a 12 hour waiting period. That put us at Friday night, actually that put us at midnight, but I had to work Friday, so Friday night I caulked. 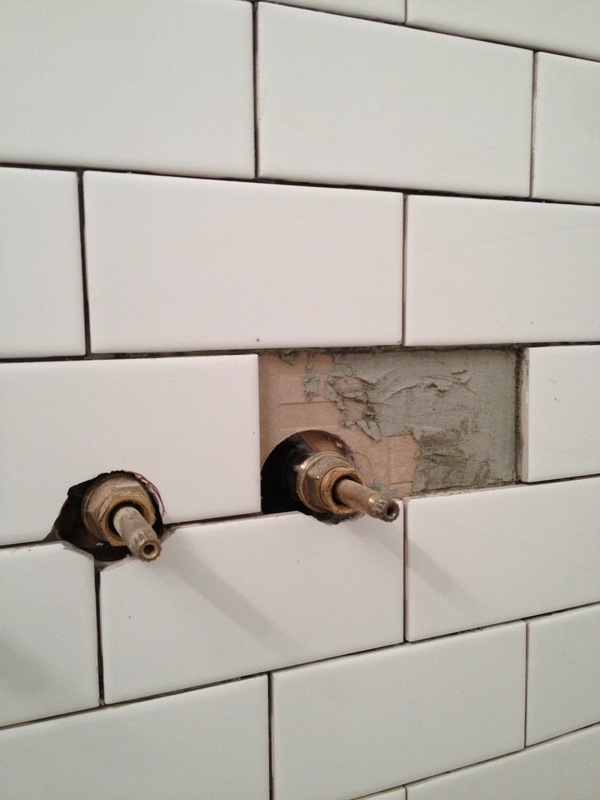 And then that takes 24 hours to cure, not to mention sealing the grout. And then this morning I am flying to Colorado with Lucy to visit my sister…so my long awaited soak in the new tub will have to wait until next week. But at least until then I can gaze longingly at the photos! Now I have to figure out the floor! Any good recommendations?! The house is too cold for tile…maybe marmoleum? 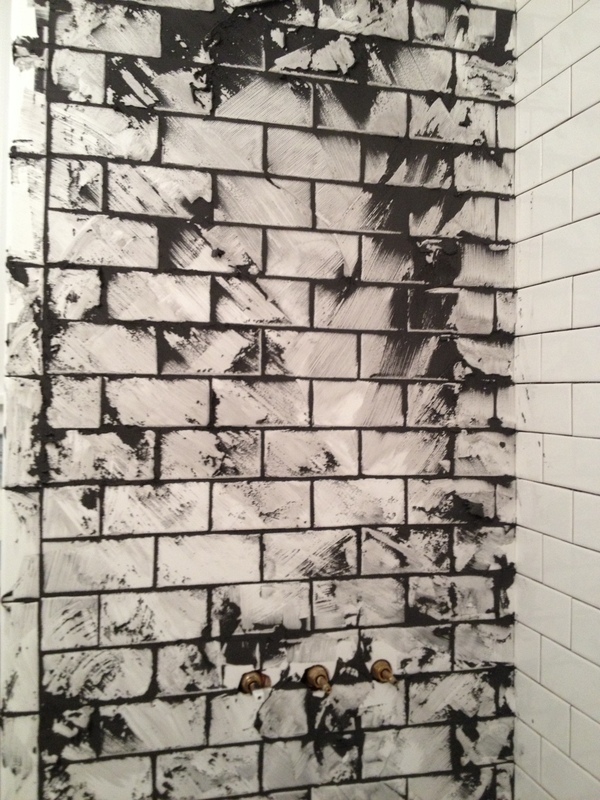 We are taking a month break and then hopefully resuming the bathroom facelift! WOW! 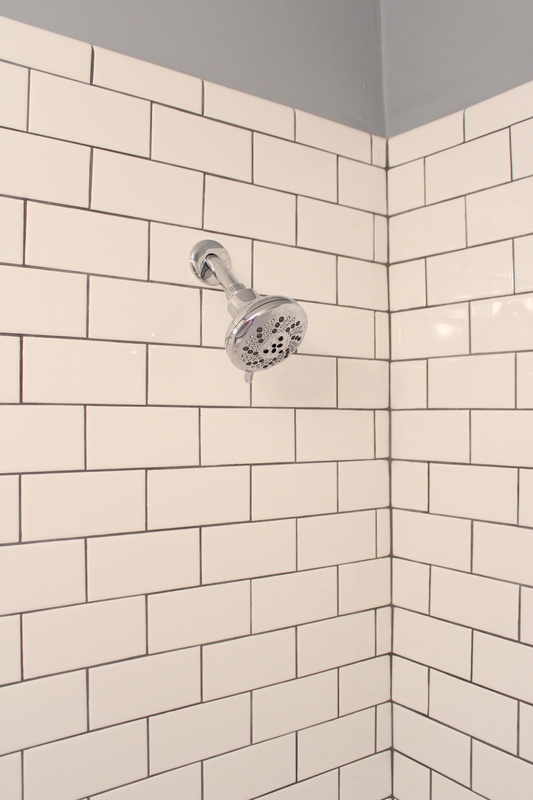 The subway tile make a world of difference. It looks so much more modern and new. It even makes the tub look newer. Awesome job!!! ! Great job Em! It looks really good. Wow, what a great job you did with that tile! I know I would never be brave enough to undertake a project like this by myself. Really a great remade! Congratulations for new home.